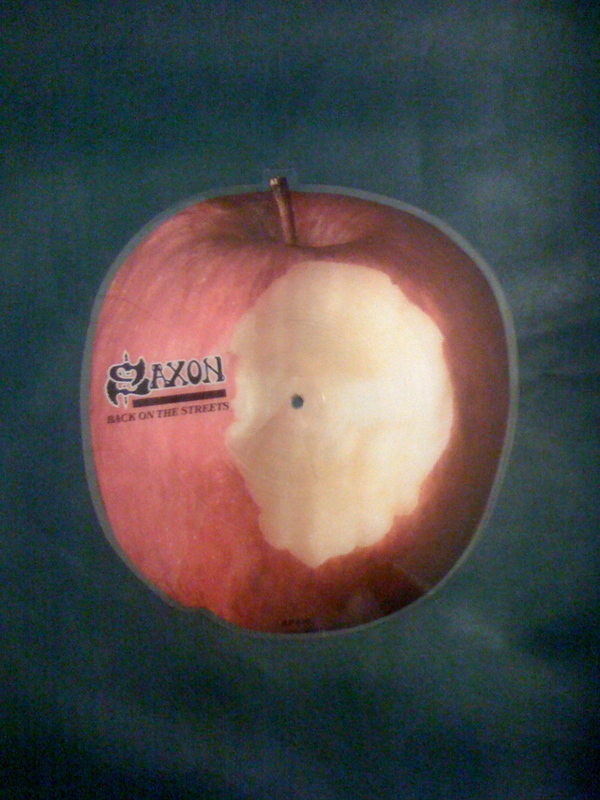 SAXON – “BACK ON THE STREETS” APPLE SHAPED PICTURE DISC FROM 1985! 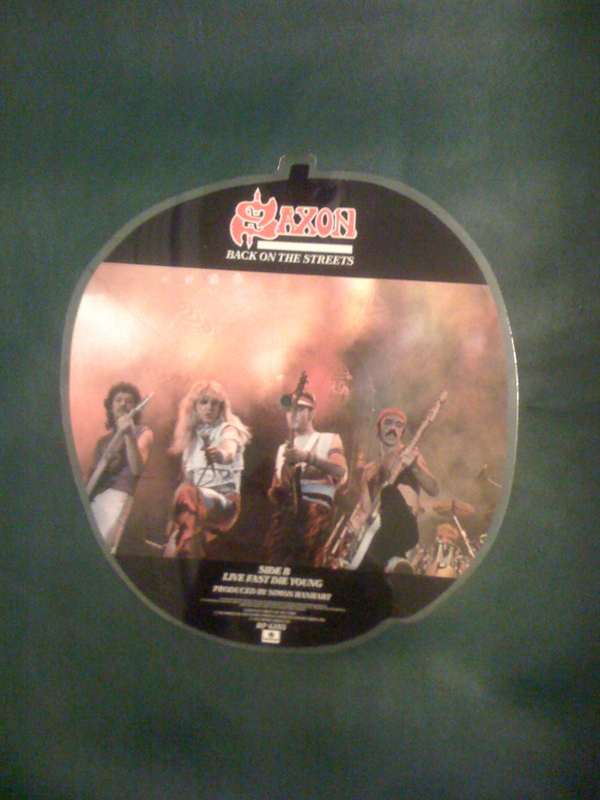 SAXON – Back On The Streets, (die-cut), shaped picture disc FIND! This past week, I entered yet another antique mall and I stumbled upon this unreal great Saxon picture disc! I was in Metal glee, upon my eyes becoming affixed, to this piece of Saxon vinyl memorabilia. The price I paid for this Saxon find was $10, (U.S.), Metal money worth spending. I don’t know the actual value of this picture disc on the open Metal market, yet I have a funny feeling it is worth more than the $10 I spent on it. Looking around the world wide web, I did not find one dealer/site that has this Saxon picture disc for sale. (Now, can I honestly say it is not available anywhere on the internet? Of course not… I just have not seen one just yet). I will have to think, with Metal certainty, that this Saxon picture disc must be scarce. Oh, the feeling of making a Metal score like this! Why I feel so psyched is that this is a picture disc from 1985, it’s not as if it’s a current/newly released picture disc. Plus, the sheer fact that this is a Heavy Metal band that I really do like makes it only better. * To the best of my Metal research, Live Fast Die Young has never appeared on any Saxon studio album. Maybe it has appeared on a Saxon bootleg? Anyone with further info on the song Live Fast Die Young is welcomed to comment. If this is to be the only Saxon recording that Live Fast Die Young is found on, man, that makes this picture disc all the more Metal important. 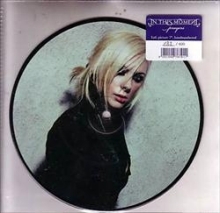 * This is a U.K. import, the picture disc code, (found at the bottom of Side B), is: RP 6103. * Directly below the picture disc code is a small logo witch reads: Parlophone. * Other text found at the bottom of Side B, reads: SAXONGS CARLIN MUSIC CORP., (and), 1985 Original Sound Recordings Made By EMI Records LTD., (and), 1985 EMI Records LTD. The single Back On The Streets is from the Saxon album Innocence Is No Excuse, (released in 1985). I thank my wife for taking the pics for Metal Odyssey… she is quite a Metal asset for me in more ways than I can count, I honestly don’t know what I would do without her… that is a Metal fact! I bought this W.A.S.P. 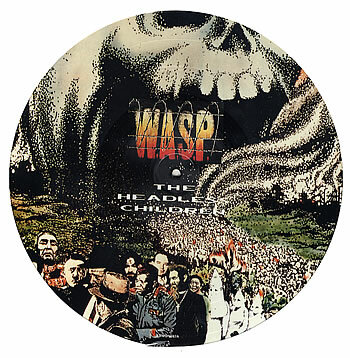 – The Headless Children picture disc way back in 1989, I don’t remember the actual month, all I remember is being completely thrilled by this W.A.S.P. album. I initially bought The Headless Children on cassette… I still have it too… in super duper mint condition. I’ve mentioned in past posts, that I am fortunate by keeping some of my Heavy Metal picture discs from the 1980’s. I really am psyched that I did keep this W.A.S.P. picture disc, especially since W.A.S.P. has never ceased with Heavy Metal output over the years. Add the fact that W.A.S.P. 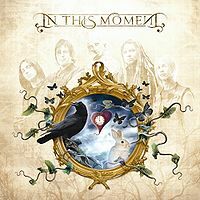 is in my top 5 of favorite lifetime bands and that about says it all. 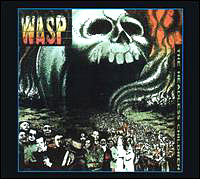 Now that I have immersed myself so deeply into the 2009 release from W.A.S.P. – Babylon, I find myself wanting to collect more offbeat and collectible W.A.S.P. stuff. Time, patience and greenbacks are all key, in striving to achieve any collection that I so crave. I will stumble upon some W.A.S.P. stuff in 2010… and when I do, I will blab away about it right here on Metal Odyssey, you betcha. 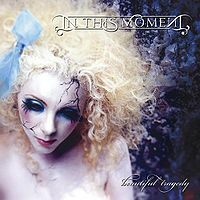 Metal Odyssey Note: I just cannot wait to hit up the flea markets and thrift stores in 2010… Metal Music hunting will be turned up a notch this coming year, I vow to make the finds a Metal reality, at low end prices to boot! All of the discarded and unloved Metal memorabilia out there, shall be saved upon my finds! (That felt so tremendously great, to get that out of my system). Uh, yeah, back to this unreal great picture disc. Blackie Lawless started to get a bit more serious with his song lyrics and themes on The Headless Children, the proof is in the listening and/or reading of these lyrics. 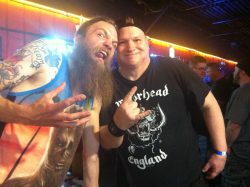 My Metal buddy Scott agrees with me on that statement… I think he is the one who actually stated it to me! Blackie Lawless either wrote or co-wrote every song on this album, with the exception of The Real Me, (which was written by Pete Townshend – guitarist/vocalist for the ultra legendary The Who). The Heretic (The Lost Child) and Thunderhead are two songs on this album that Blackie Lawless co-wrote with lead guitarist Chris Holmes. The Headless Children and The Real Me are my two favorite songs on this album. Let me just say that every song on The Headless Children is Old School – wrecking ball – Heavy Metal. 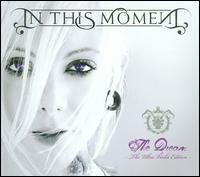 No one Metalhead out there can do wrong by buying this album, Metal truth be spoken… it is a must own. In my Metal opinion, I consider The Headless Children to be a very strong W.A.S.P. 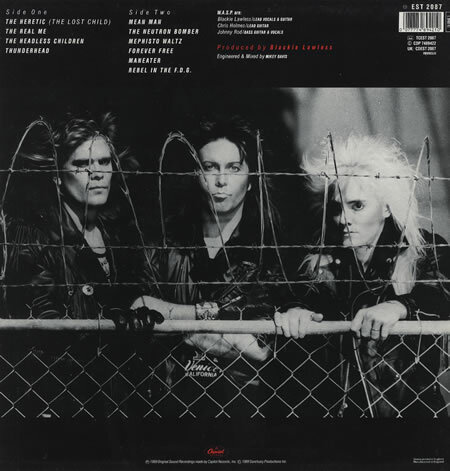 album, the foundation for the great run of albums Blackie Lawless delivered in the 1990’s. The Headless Children picture disc I have owned for so long, well, it IS a keeper. * A Metal Note: Maneater is NOT the Hall & Oates song, NOT! Ugh. If you look really closely at the artwork on The Headless Children, there are quite a few real life bad dudes on the cover. How many can you identify?